GRAND PRIZE: Trip for four to Minor League Baseball Allstar game including a host of VIP experiences. FIRST PRIZE: One of ten Crayola prize packs! ($250 value). NO PURCHASE NECESSARY. A PURCHASE WILL NOT INCREASE YOUR CHANCES OF WINNING. Open to residents of all 50 U.S. (including D.C.) 18 years and older. Void where prohibited. Sweepstakes Period: 1/15/17 to 5/15/17. 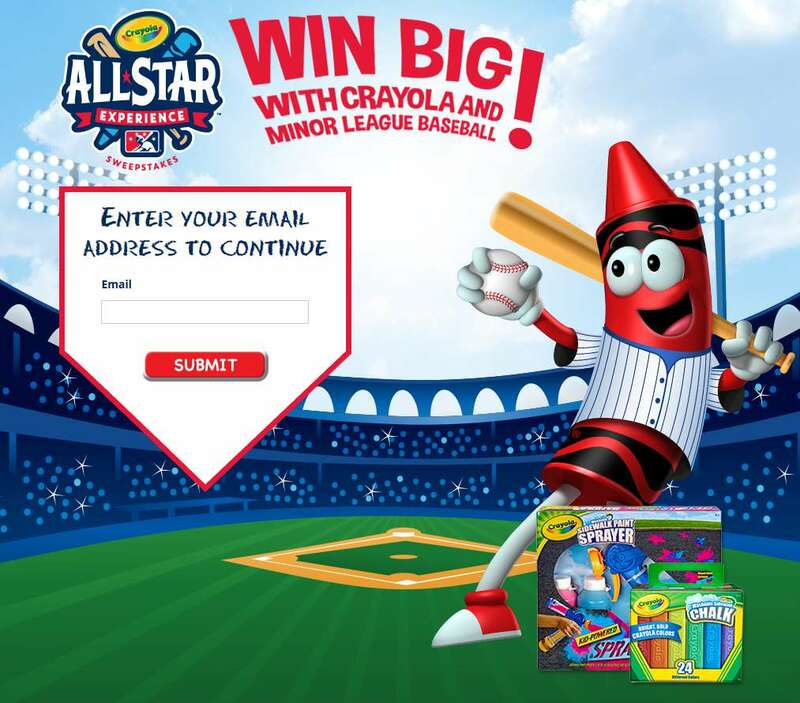 For Official Rules, visit: Crayola.com/allstar. To enter via text messaging, text ALLSTAR to 811811. You consent to receive up to 10 text messages to your number from Snipp Interactive on behalf of Crayola LLC. Text STOP to stop, HELP for help. Message and data rates may apply. Your consent is not required for purchase. Sponsor: Crayola LLC, 1100 Church Lane, Easton, PA 18044. Find out more at Crayola #USA.